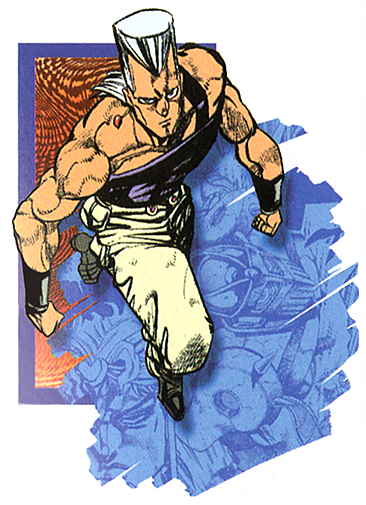 Jean Pierre Polnareff is one of the major characters in Part III: Stardust Crusaders. He also makes a later appearance in Part V: Vento Aureo. In the story, he traveled with Jotaro and Joseph to get revenge for his sister, who was raped and killed by a stand wielder with two right hands. His mission for revenge had led him to Dio's lair where Dio brainwashed him into attacking Jotaro. The heroes defeated him and destroyed Dio's influence. 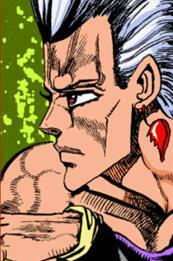 Polnareff then joined the group, hoping to find the one who slayed his sister. Early on, he found that man, J. Geil, who was working as one of Dio assassins alongside Hol Horse. 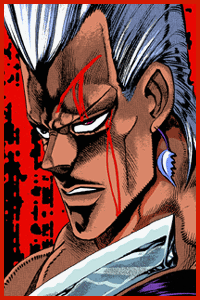 Though Abdul almost died, Polnareff finally got his ultimate revenge and killed J. Geil. Later on, he defeated a swordsman named Chaka. 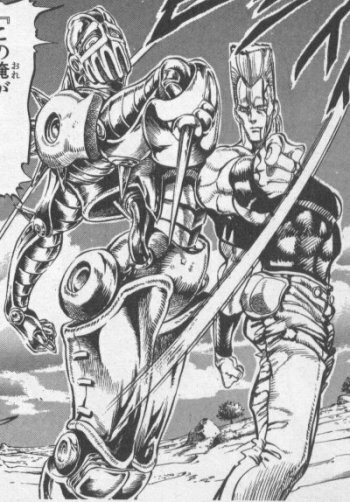 When Polnareff took Chaka's Anubis sword, he momentarily became evil and attacked Jotaro. He lost and went back to normal. The Frenchman stuck with the Jojos and fought alongside them against Dio Brando. 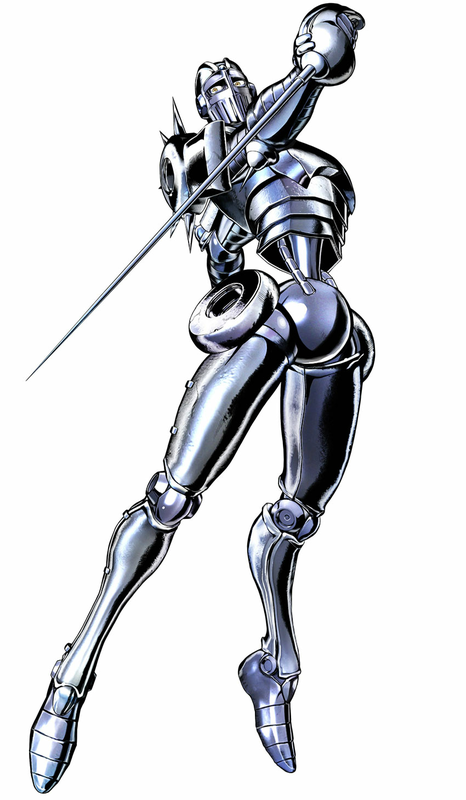 His stand, the Silver Chariot, is a knight with a fencing sword that moves incredibly fast. 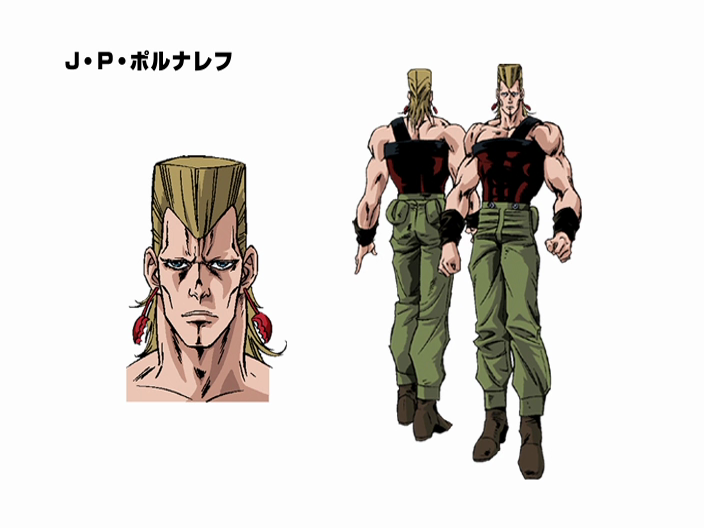 Fun Fact: Benimaru Nikaido's design is visually based on Polnareff. Good old Polnareff has some interesting history in the fighting game genre. 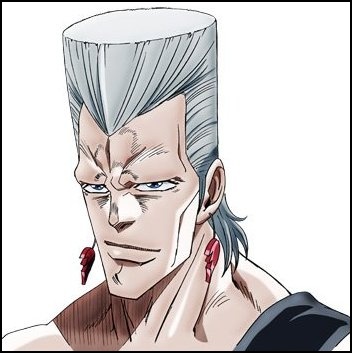 For one, it's pretty certain that Polnareff's hairstyle inspired the likes of Paul Phoenix and Benimaru. 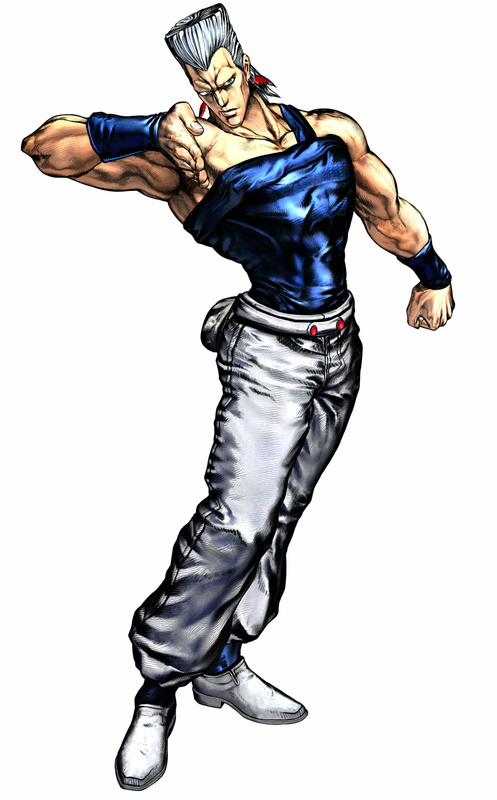 Furthermore, Benimaru's original outfit was entirely based on Polnareff... in case you haven't figured that out. 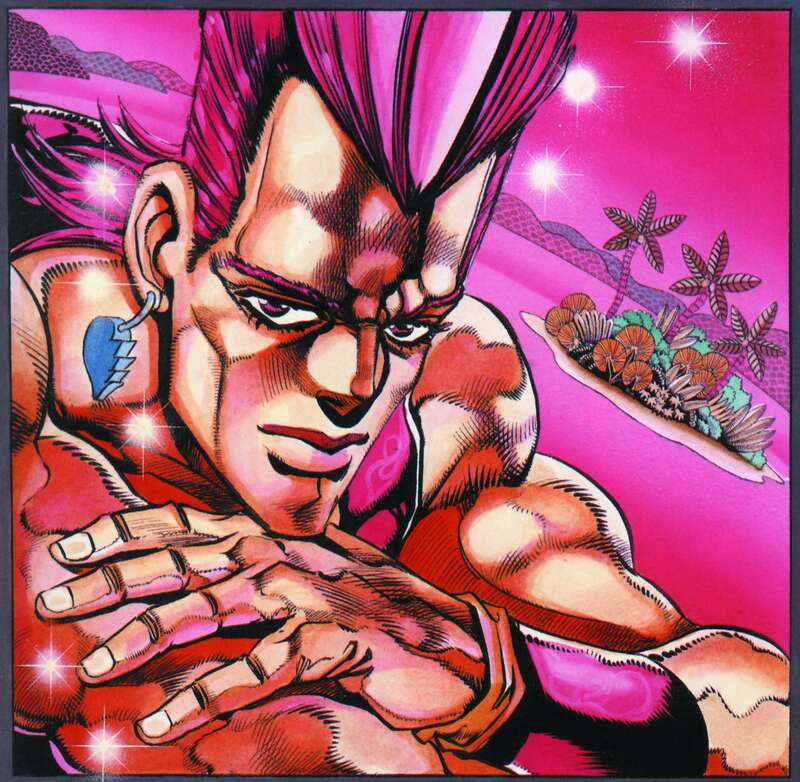 Overall, Polnareff is a pretty cool and also humorous character. His stand is pretty damn cool... 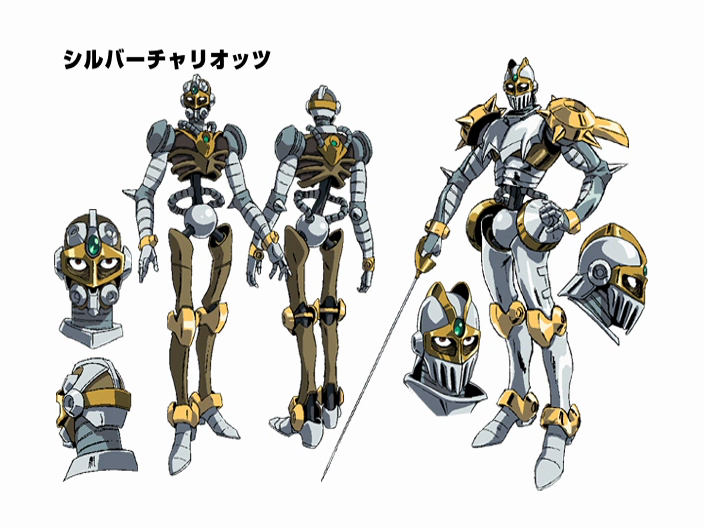 I'd say Silver Chariot is probably one of my favorite stands from the series. 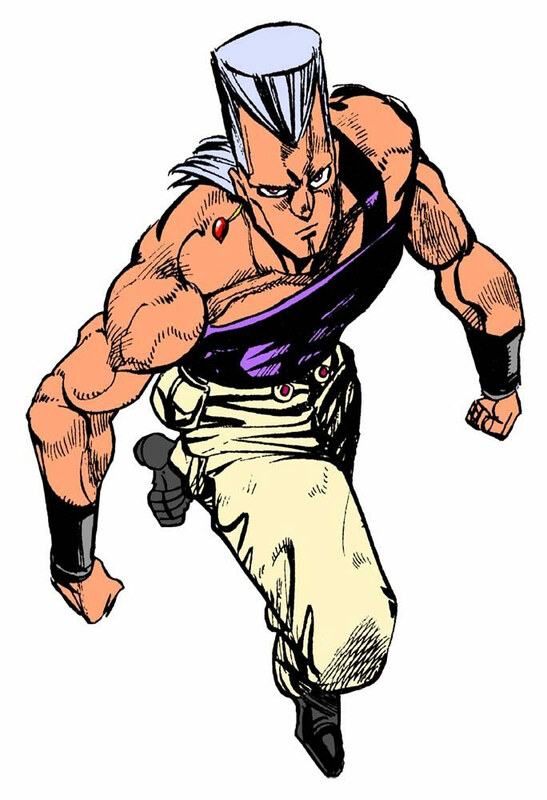 Polnareff turned out to be a solid fighting game character in both JoJo fighting games he appeared in. I'm not a huge fan of his look, but he's got a lot of personality.